LAST WEEK, NETFLIX announced the release dates for 11 of its new shows, setting a large chunk of its schedule for 2016. The announcement included old favourites like ‘Orange Is the New Black’ as well as new shows, like Fuller House. The company has said it plans to roughly double its output of original shows to 31 in 2016, so while this is a big update, expect more announcements to come. Here are the 11 Netflix original shows that now have firm release dates (along with two projects that were previously announced). Netflix description: Judd Apatow, Paul Rust and Lesley Arfin are bringing an unflinching, hilarious, and excruciatingly honest take on modern relationships to Love … Love follows Gus (Paul Rust from I Love You, Beth Cooper and Inglourious Basterds) and Mickey (Gillian Jacobs) as they navigate the exhilarations and humiliations of intimacy, commitment, and other things they were hoping to avoid. Netflix description: The Full House adventures continue as D.J. Tanner-Fuller calls upon her sister Stephanie and friend Kimmy to move in and help raise her three boys. Netflix description: Set in the insular world of Venice, California, Flaked is the serio-comic story of a self-appointed ‘guru’ who falls for the object of his best friend’s fascination. Soon the tangled web of half-truths and semi-bull that underpins his all-important image and sobriety begins to unravel. Arnett plays Chip, a man doing his honest best to stay one step ahead of his own lies. Netflix description: What’s a Midwest girl to do after she’s spent the last 15 years trapped underground? Move to New York City, of course. Netflix description: Robert Taro has been the mayor of Marseille for 25 years. Now he faces a merciless election against his young, ambitious former protégé. Netflix description: In this sequel to ‘Crouching Tiger, Hidden Dragon,’ four Martial World heroes must keep the legendary Green Destiny sword from villainous Hades Dai. Email “Trailers: These are the 10 Netflix original shows people will be watching in 2016”. 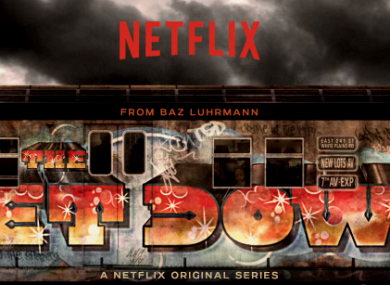 Feedback on “Trailers: These are the 10 Netflix original shows people will be watching in 2016”.